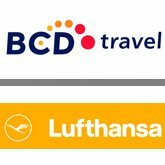 BCD Travel has entered into an agreement with Lufthansa Group airlines (Austrian Airlines, Lufthansa, Swiss and Brussels Airlines) that will enable the TMC to pilot the booking of the carriers’ NDC content. The program will allow BCD to determine whether key components of the NDC process are cost-effective for customers. According to BCD Travel, the partnership was potentially a logical step toward understanding the value of NDC for the TMC’s customers. BCD’s decision to work with the Lufthansa Group on its inaugural NDC channel also rested on the airline group’s success in overcoming preliminary NDC-related obstacles and challenges over the last three years. Rose Stratford, executive vice president, global supplier relations & strategic sourcing for BCD Travel, said the company has always taken a positive position on NDC, committed to support it as long as it benefited clients and improved the traveler experience.